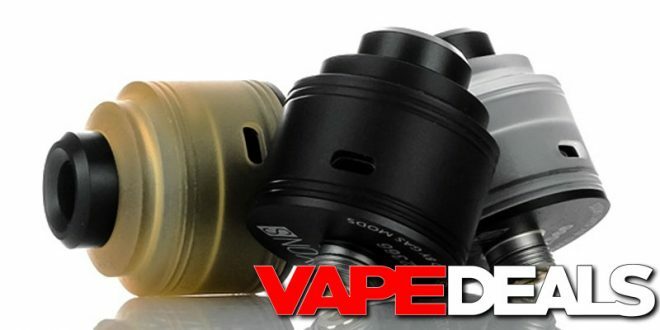 3fvape recently did a price drop on the Gas Mods Nixon S RDA. You can now pick up the Black, Amber, or Clear version for only $19.99 with FREE shipping! They do have several other colorways available, but those cost $1.69 – $1.99 more. If you’d prefer to order from the US, dna has a great deal going too. They’re selling ALL of the colorways for only $22.49 each (use coupon code “deals10”). Seems like a great deal either way. If you’re in the market for a single-coil/squonk-ready RDA, this one is probably worth checking out.